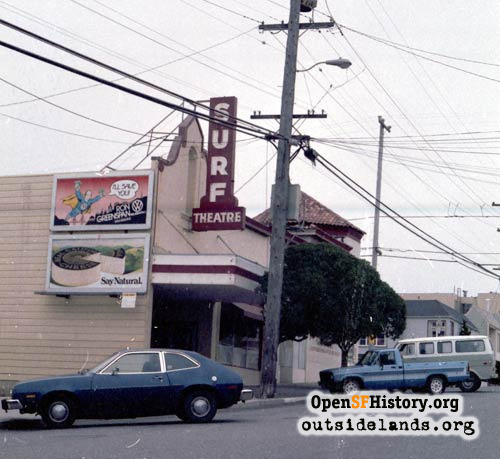 From 1926 to 1985, a cultural beacon in the Sunset District on Irving Street near 46th Avenue. 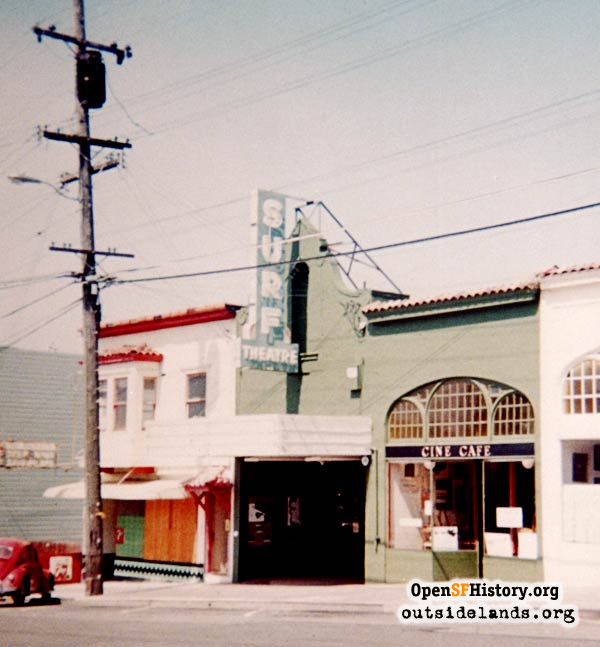 Opened: around September 1926 as the Parkview Theatre (there is a construction announcement in the San Francisco Examiner on December 12, 1925, but the first listing in the telephone directory is November 1926). 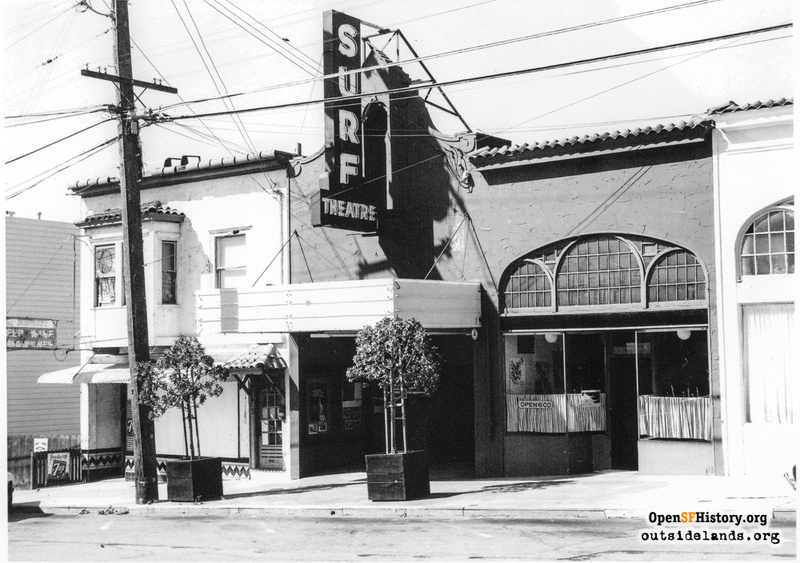 Renamed: The Sunset Theatre in September 1937. 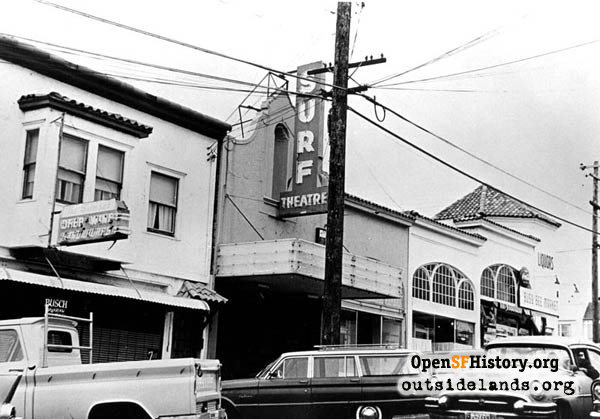 Remodeled and Renamed again: as the Surf Theatre on July 24, 1957. 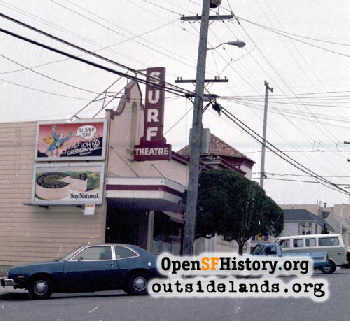 Read a history of the Surf Theatre in this column by Woody LaBounty. Page launched 14 March 2001; updated 22 February 2013. 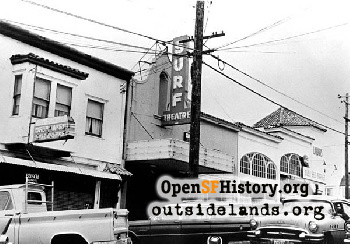 Contribute your own stories about the Surf!